Song and Lyrics: "John Brown's Body Lies A-Mouldering in the Grave"
The song and music to John Brown's Body originated during the American Civil War with the soldiers of the Massachusetts 12th Regiment. The catchy tune was originally used as a marching song. The lyrics to the song were changed over time reflecting the life events of the famous militant abolitionist John Brown. John Brown played a significant role in the violent conflict referred to as Bleeding Kansas which led to John Brown’s Raid on the Armory at Harper’s Ferry. He was convicted of murder, inciting a slave revolt and treason and was hung as a traitor although revered by many anti-slavery factions in the North as a patriot and a martyr to the cause. 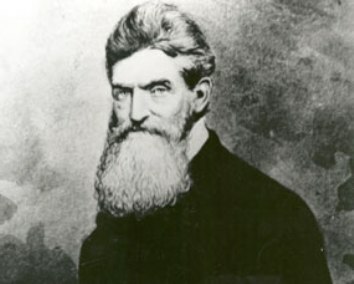 His name and memory was immortalized in the words of the song "John Brown's Body". 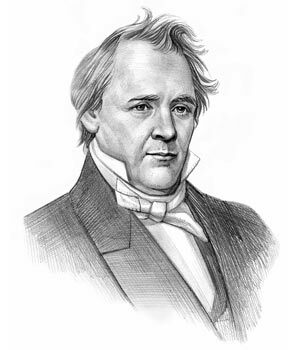 James Buchanan was the 15th American President who served in office from March 4, 1857 to March 4, 1861. One of the important events during his presidency was John Brown's Raid on Harpers Ferry. This article provides the words and lyrics of "John Brown's Body Lies A-Mouldering in the Grave". The catchy tune to "John Brown's Body was written in 1856 by William Steffe (1830–1890) who used a camp-meeting song with the traditional "Glory Hallelujah" refrain for the basis of the song. The camp-meeting songs became popular during the Christian revivalist movement referred to as the Second Great Awakening. The words and lyrics to the John Brown's Body changed from the simple words and repetitive phrases learned by rote at religious meetings to more complex and sophisticated words and lyrics aspiring to a greater poetic and literary quality with highly significant meanings. The new words and lyrics to the John Brown's Body song took on this new, highly patriotic flavor with the outbreak of the Civil War in 1861. The song "John Brown's Body" became one of the most popular marching songs for the Union army. One of the early versions of the John Brown's Body song were as follows. Compare the simplicity of these words and lyrics to John Brown's Body with the later version of the song. But his soul goes marching on. His soul goes marching on. But his soul is marching on. For his soul is marching on. On the army of the Union with its flag red, white and blue. And his soul is marching on. The article containing story of the John Brown's Body song provides an interesting insight into of one of the Important events of his presidential term in office. The following James Buchanan video will give you additional important facts and dates about the political events experienced by the 15th American President whose presidency spanned from March 4, 1857 to March 4, 1861.